Traditionally, the top tier of data storage has been about performance and reliability. Today's data centers now require a new approach to cope with the dynamic environments created by extensive server virtualization, cloud implementations and constant change. 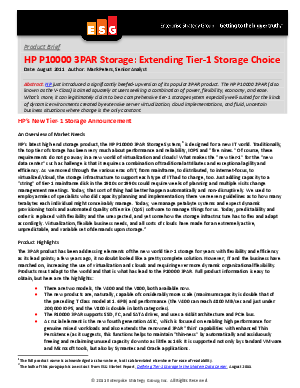 This white paper sponsored by HP & Intel introduces a solution that can extend tier-1 storage choice to provide a combination of power, flexibility, economy and ease.